Passport: You now need a passport for all travel into Mexico from the United States and Canada. If you do not currently have a passport, please plan ahead since it can take up to 6-8 weeks to process. You must make sure that your passport is valid for at least 6 months from your travel date. For more information, visit: www.travel.state.gov (US citizens) or www.canadainternational.gc.ca (Canadian citizens). Tourist Visa: You will obtain and fill out a Tourist Visa on the plane. Be sure to keep the stamped portion, as you will need it when you depart from Mexico. If you do not have the stamped portion during your departing flight, you will have to pay a fine before checking in. Driver's License: It's always a good idea to carry an extra form of I.D. such as your Driver's License when you travel. ATM Card: Using an ATM machine at a bank is an easy way to get Pesos, and you will get the best exchange rate. Please note: Due to an increase in ATM fraud in Sayulita, it is cautioned to avoid free standing ATM machines in Sayulita. An ATM located within a bank is the safest bet. There is one bank in Sayulita, Intercam. 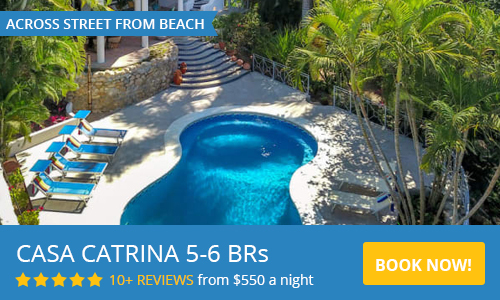 It is located as you enter Sayulita from the new boulevard on the right side of calle Revolucion. You can exchange US or Canadian dollars and Euros at the Casas de Cambio, (money exchange windows) in Sayulita. The rate is not quite as favorable, but they do not charge a fee and you will likely get a better rate than exchanging money at the airport. If you're looking for convenience, this may be your best option for exchanging money. Credit Card: You should bring a credit card for any major purchases, or in case of emergency. However, please note most businesses, restaurants and taxis are cash only. Small Spanish (Latin American) Dictionary or phrase book will come in handy since many locals do not speak English. Most people tend to pack way too much when they go on vacation. Once you get here and get into the "mañana" frame of mind, what you wear won't seem quite as important. 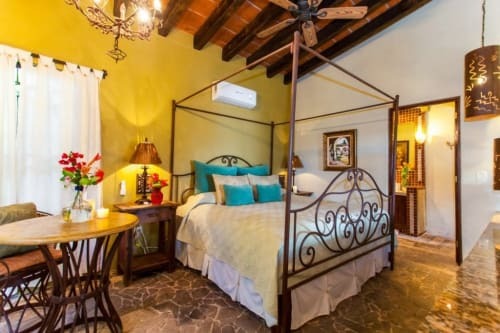 And that way you'll leave plenty of room to bring back souvenirs and a bottle of your favorite tequila for friends and family. Life here in Mexico is very casual and the weather is usually warm, so beach wear, casual resort wear, and flip flops or sandals are perfect during the daytime. Bring a pair of lightweight pants and a sweater or light jacket as the evenings can sometimes get cool in the winter months. A comfortable pair of tennis shoes or comfortable walking shoes for walking on the cobblestone streets is also a great idea. Some US health care plans provide health coverage in Mexico, but it is typically limited, so ask your health care provider what is covered before you travel. If your travel to Mexico is not covered by your medical plan, you may need to buy insurance separately. 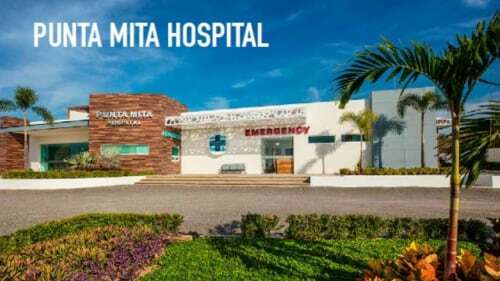 Because Mexico does not have any reciprocal health care arrangements with any other country, all treatment you receive from clinics and hospitals including doctor visits, medication, emergency transportation, etc. must be paid in full. As you can imagine, the costs can add up quickly in the case of an accident or medical emergency. Travelers are becoming increasingly aware of the need for Travel Insurance. From medical emergencies, to delayed flights and lost luggage, unforseen circumstances can add up to a costly experience. You can find insurance companies for your trip here including air evacuation services. The Dry Season runs from November to May, when daytime temps are 25-29°C (78-85°F), cooling to around 13-18°C (55-65°F) at night during the winter months. The Rainy Season runs from June to October, bringing tropical rains and temperatures in the 90°sF with very high humidity. The hottest months are August and September. During Rainy Season, we get can anywhere from 13-35 centimeters (5-14 inches) of rain per day. When you arrive in Puerto Vallarta, you will be on Central Time. Sayulita is now on the SAME time zone as PV. The majority of business owners and residents in Sayulita do not speak English, however you will find that most wait staff at local restaurants speak some English, so you will be able to get by without much Spanish. However, speaking to business owners, taxi drivers and local people you meet may prove to be a bit more of a challenge. Luckily, learning Spanish is easier than ever these days with the access to the internet. If you would like to experience a fun time during your Sayulita vacation, try taking a class at one of the local Spanish Study Schools. Learning a few key words and phrases, like hello, how are you, my name is, please, thank you, I'm sorry, when, where, and how much will definitely come in handy. Remember to speak slowly and smile. Making an effort to speak Spanish with the locals will greatly enhance your experience in Mexico. It's best not to drink the water in Mexico. Bottled drinking water is available everywhere, and restaurants only use ice made from purified water... so there is no reason not to order one more margarita! Mexico uses standard 120-volt/60-cycle current, the same as the US and Canada, so adapters are not needed.